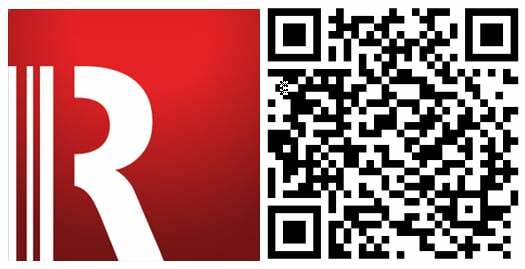 RedLaser is a price finder app for your Windows Phone that scans barcodes and QR Codes of merchandise then scours the internet for the best online and local prices. 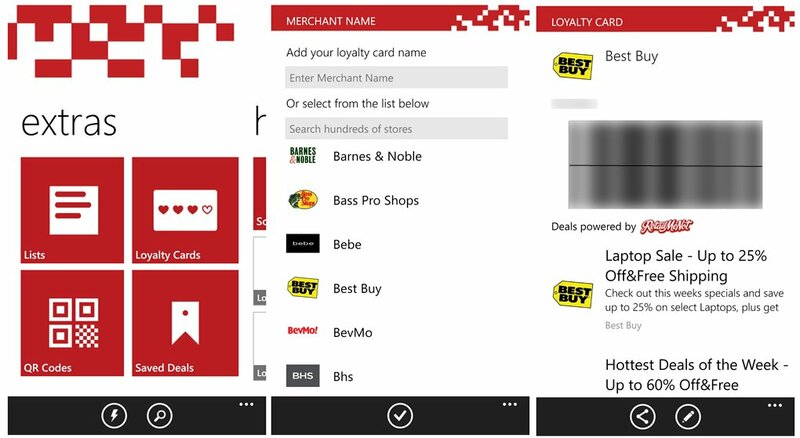 The Windows Phone 8 version was updated to version 3.0 and delivers a slightly new interface along with the ability to store your merchant loyalty cards. The user interface offers a home page with tiles to initiate the bar code scan as well as tiles to view your recent searches, recommendations, popular searches, deals from various merchants, and top deals from merchants. You still have your search history page but also an Extras Page where you can generate shopping lists, generate QR Codes, view your saved deals and store merchant loyalty cards. The loyalty card features is neat and solves the age old problem of having all those little keychain tags cluttering up your keyring. All you need to do is enter or find the merchant's name from the healthy list provided by RedLaser and scan your loyalty (or rewards) tag. RedLaser will generate and save the tag so the next time your at the register, no more fumbling for the keychain tag. Just let the cashier scan the image off RedLaser. 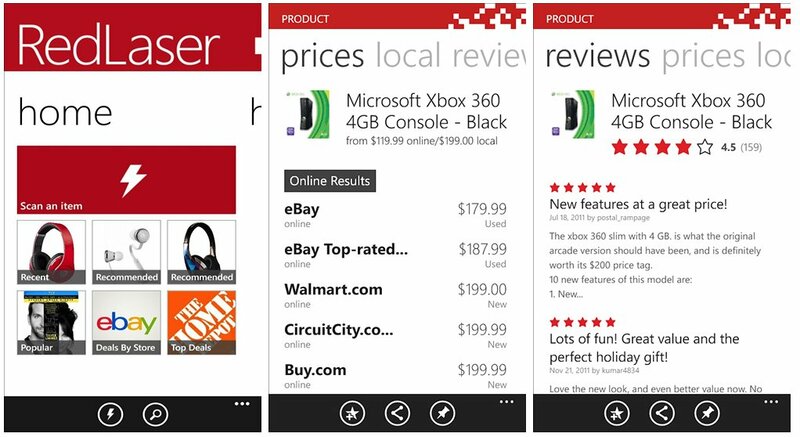 All in all the version 3.0 update is a very nice bump for one of the better shopping apps for our Windows Phone. RedLaser is a handy way to shop for the best deal and isn't a bad way to find the best price for stores that offer price matching. Oh... and for the Windows Phone 7.x users that version of RedLaser was also updated to version 2.1 and includes features that were part of the last Windows Phone 8 update. The Windows Phone 7.x update adds voice search and image recognition to find product information and expands the store database. 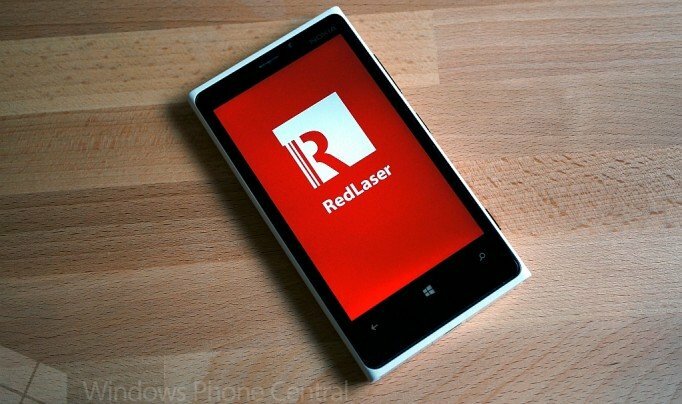 RedLaser is a free app for our Windows Phone and you can find both versions here in the Windows Phone Store.